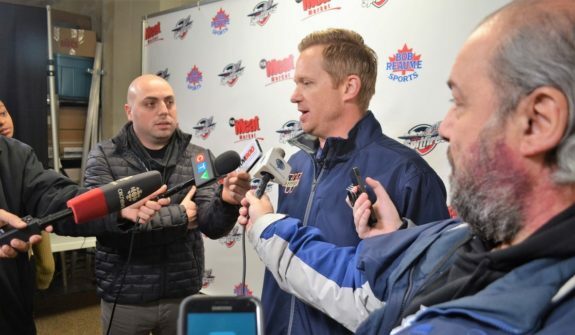 T’was the night before Christmas and all through the rink, a red man in a suit was giving the Windsor Spitfires everything they needed, except the kitchen sink. The first half of this season hasn’t gone well. A record of 15-16-2-1 ranks them seventh in the Western Conference. Can they make the playoffs? With Christmas upon us, though, jolly old St. Nick has given the team five toys that are certain to fill head coach Trevor Letowski and his crew full of joy. Let’s take a look at what Santa brought for the Spitfires. There’s no question, the Spitfires have the potential to light the lamp every game but can they do it? Through 34 games, they’ve managed 13 games scoring four or more goals but 16 games scoring two or fewer goals. It’s a wild stat that adds up to the fourth-fewest goals scored in the OHL this season. Veteran Cole Purboo has two goals in his last three games but had just one over the previous six. Players like Luke Boka and Mathew MacDougall, who combined for 32 goals last season, have just 11 this season. The good news for Boka is he’s one of the best defensive forwards and shot blockers in the league and his grit goes a long way. Fortunately, rookie forwards Will Cuylle and Jean-Luc Foudy, along with sophomore Daniel D’Amico, are the top seven in team scoring. They’ve provided contagious energy in every game, which bodes well for the future. Dallas Stars’ prospect Curtis Douglas has found his game too, with 14 goals and 22 points in 33 games. 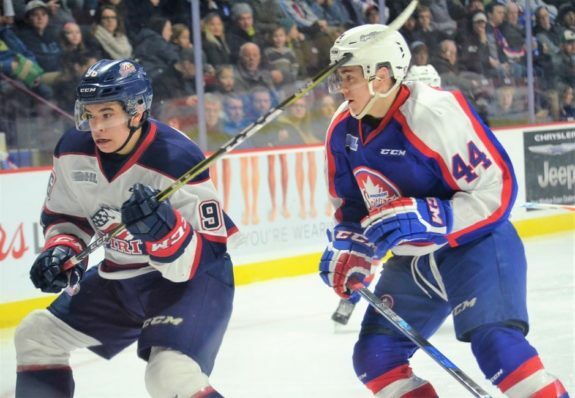 The six-foot-nine, 250-pound, 18-year-old took a bit of time to adjust following his return to the OHL but he is now playing full speed ahead. Santa’s first gift is an offence that is consistent game-by-game. It might take a bit of time for the players to figure out how to use it but the rewards will be plentiful down the road. When the Spitfires had goaltender Michael DiPietro, you knew there was a chance to win every game. DiPietro provided a sense of calm to his team. It’s been a different story after his trade to the Ottawa 67s, though. The Spitfires allowed at least five goals in each of the first four games. The defence looked lost with miscues and failed checks at every turn. While veterans Sean Allen and Connor Corcoran have done a stand-up job in keeping the group in check, it’s tough to maintain the proper confidence when things aren’t going your way. Sophomore Nathan Staios has just one goal in 30 games while Lev Starikov has just four points and is a minus-9 in 29 games (13 points and a plus-14 last season). Both players have the tools to do much more but something is missing. This is where Santa comes in. The group needs to refocus and go back to the systems that were proven to work. By using the body and not over-thinking it, the defence can get back to the high standards for which the team is known. They can put points on the board while making players fear approaching the net or the corners. Young goaltender Kari Piiroinen has proven he can make the big save but he can’t do it alone. He needs his defence to play their role. Santa’s second gift is confidence for this young group that has five players with less than two years of OHL experience. The talent is there, it’s time to find it again. The plan is unfolding perfectly. Coming into the season, it was inevitable that DiPietro would be dealt before the trade deadline. 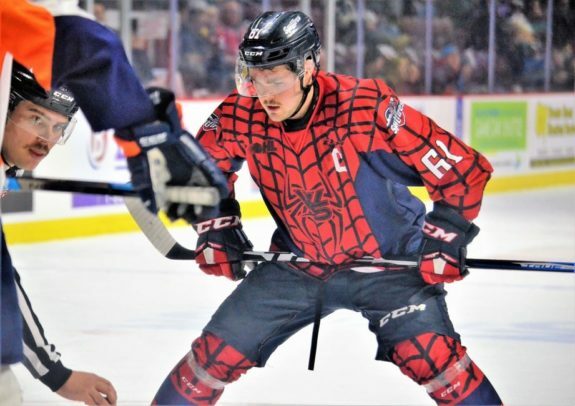 The Spitfires drafted Piiroinen out of Helsinki, Finland during the 2018 CHL Import Draft with the hopes that he’d take over the net. While DiPietro played 21 games in the first half, Piiroinen saw action in nine games and proved he was capable of taking the reins. Since DiPietro’s trade, Piiroinen has played four games and, while some have been a struggle, his 33-save performance against the Oshawa Generals before the break showed he just needs time. 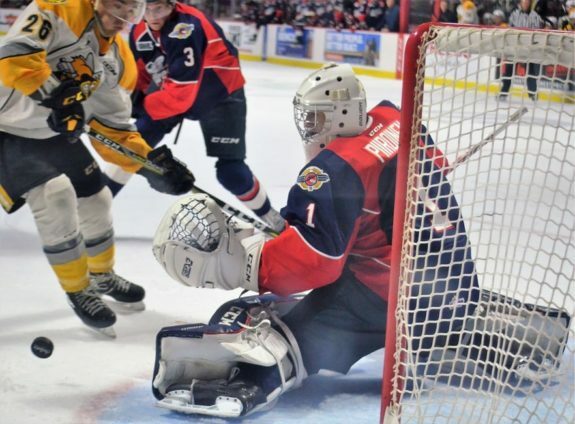 While the Spitfires acquired veteran Colton Incze from the Niagara Ice Dogs right after dealing DiPietro, Piiroinen has the chance to take control of the crease. The future belongs to him and the starting role is his to lose. Santa’s third gift is playing time for Piironien. He’s shown what he can do and now is his chance to take his game to the next level. Part of building success comes from developing chemistry with your linemates. Knowing where they are and where they’re going will pay large dividends over the long haul. Unfortunately, success with the lines has been scarce to date. Letowski and his staff change lines not only from game to game but from period to period. The result is not knowing who you’ll see on the ice and players looking lost at times. While bumps, bruises and a lack of production contribute, there’s a clear lack of chemistry. Although veteran forward Chris Playfair remains out with an injury, the rest of the roster is healthy. This means a nearly full lineup and there’s no reason to continue the Spitfires lineup shuffle. Santa’s fourth gift to the team is consistent lines. It’s time to find stability, to use practice to find combinations that work and stick with them throughout a game or even multiple games. Develop that chemistry and let the players do their thing. 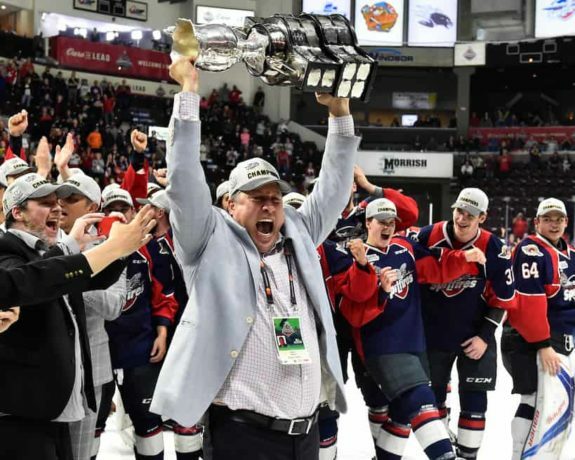 After going for the 2017 Mastercard Memorial Cup, general manager Warren Rychel had few picks at his disposal. Many veterans came in while plenty of picks headed out of the Rose City. Since then, Rychel has slowly restocked the cupboards by dealing several veterans, including captain Aaron Luchuk last season. The DiPietro trade simply added to the collection and now the team is without a second-round pick in just one season (2020). What they lack, are in the middle rounds. Rychel is without a third-round pick in 2019 and 2020 and without a fourth in 2022 and 2023. The trade deadline is just a couple of weeks away, on Jan. 10, giving Rychel time to see what he can add to the team. With the roster in full rebuild mode, could a veteran or two be moved to fill in the draft pick gaps? Santa’s fifth and final gift to the team is a full draft pick cupboard. It wasn’t easy for Santa to find but it’ll provide great benefits to Rychel and his team over the next few seasons.